When we only noticed flowers blossoming recently, Summer is almost right around corner. It’s one of the most exciting seasons of the year, of course besides Christmas. There’re quite a few makeup items that really attract my eyes. First of all, it’s the Guerlain’s Perles Collection Meterorites. There will be 3 shades in the collection, 01 Teint Rose, 02 Teint Beige and 03 Teint Dore. I really can’t decide which one(s) to get. The all look so pretty in the picture and the packaging is so much better than the regular meterorites. 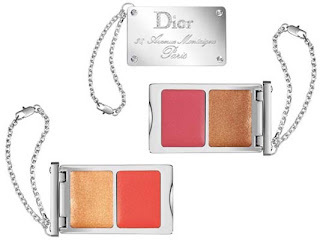 Christian Dior Addicted to Dior lip gloss. There’re 2 variations, 001 Addicted to Coral and 002 Addicted to Pink. The lid shows the address of Dior’s Paris store (30. Avenue Montaigne Paris). They’re good for collection purpose. Givenchy 2010 Summer Collection. 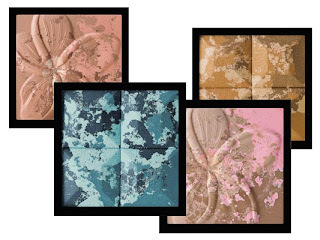 Fleur de Frangipanier 2 shades (Island Sun and Island Tan) and Le Prisme Yeux Island Camaïeu 2 shades (Island Lagoon and Island Sand). I like the pink flower and blue shadow. 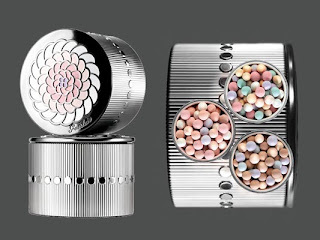 Last but not least, there will be 2 more limited edition Jill Stuart Mix Blush Compacts coming out in mid April. I don’t have a picture of them yet but one thing for sure that this time I won’t let them slip by. givenchy is so gorgeous! 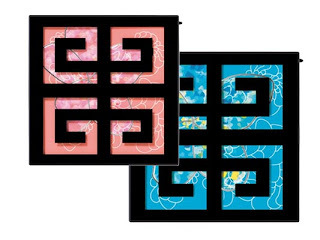 and of course, guerlain packaging is so elegant! Thanks of the update, wow, too many good things to try. I think I will choose 01 Teint Rose becasue I think it will look really good on Asian skin tone, but the other two looks good also, 03 also really interests me, I wonder how it look on my cheeks!